This week, you could say we made history at the Star Trek Convention in Vegas. 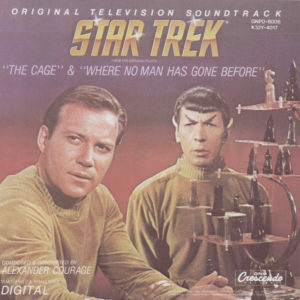 Jeff arranged a musical suite including music he wrote for the most recent Star Trek: Discovery franchise that culminated with an updated version of the original Star Trek’s Main “Courage” Theme composed by Alexander Courage back in the mid ’60s. Much to the delight of the surprised convention attendees, Ayana Haviv performed soaring operatic vocals accompanying the Nevada Pops Orchestra conducted by Jeff. The audience went wild celebrating this rare resurgence of historical music that shaped the lives of so many dedicated fans.